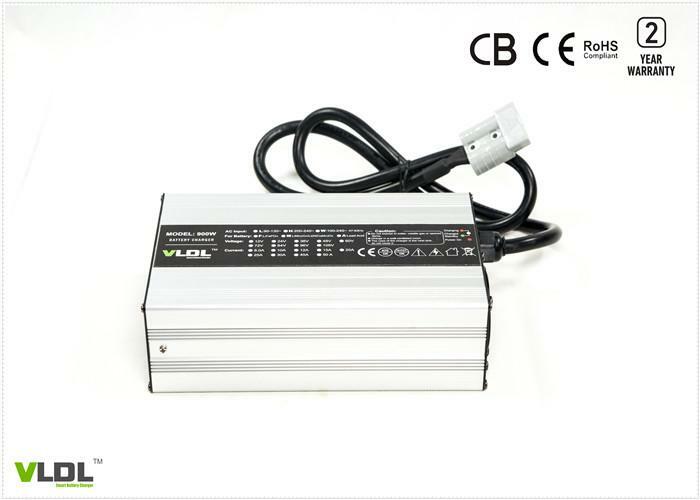 Lead acid battery charger 72 volts 10 amps, smart four steps charging with floating / trickle step. 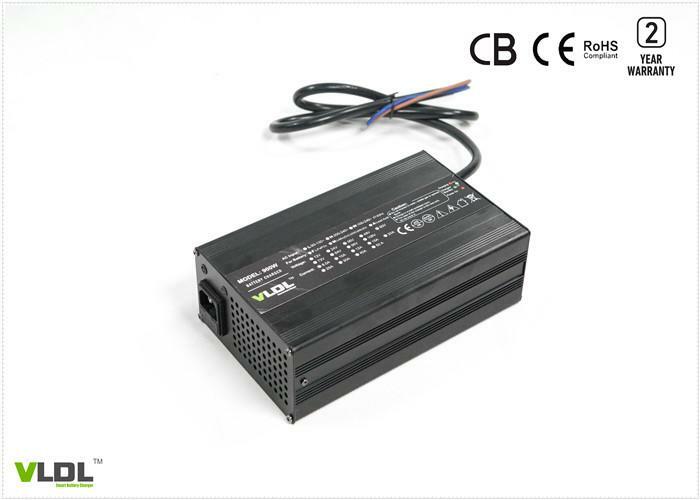 Designed for 72V lithium or lead acid battery powered electric bikes / bicyles, input with worldwide 110 to 230Vac and rated output voltatge is 72V 10A. 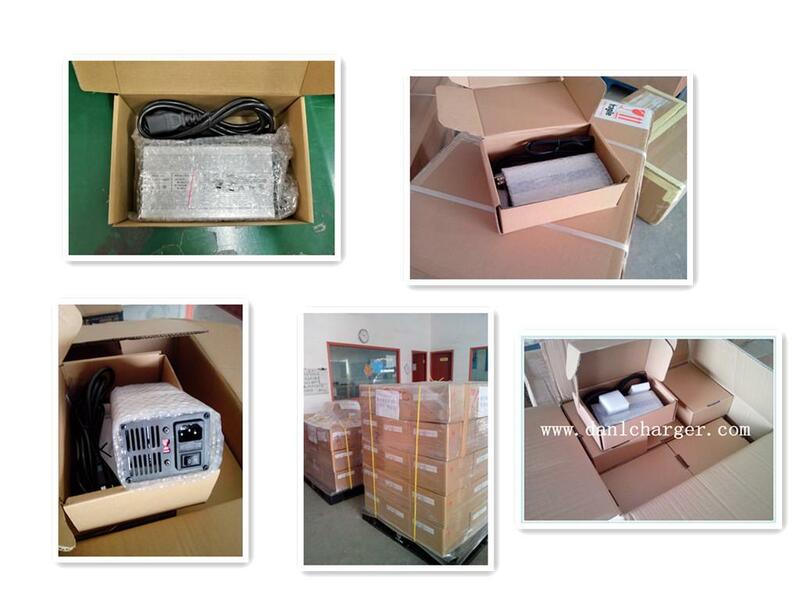 Smart max charging voltage is 88.2V for lead acid type batteries (AGM, GEL, Deep cycle) . Intelligent 4 steps charging with pre-charge, CC, CV and floating / trickle or automatic cut-off, this charger will charge your electric bikes/bicycles very fast, with high efficiency and pretect your battery life maximumly. Small size and aluminum housing. 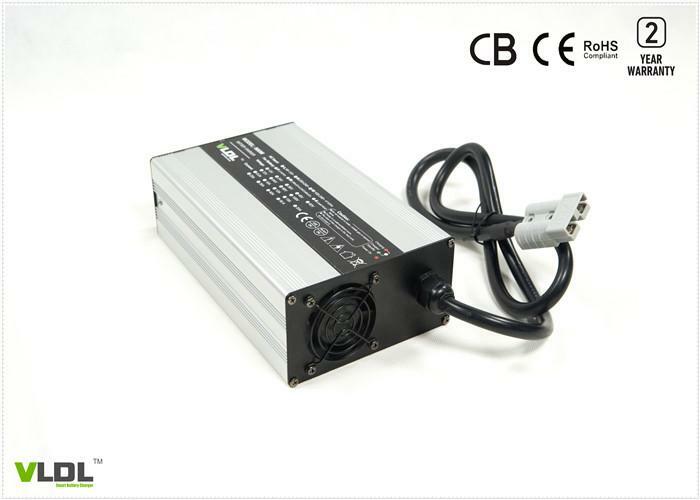 ◆ Advanced high frequency switching mode power supply technology. ◆ DC output isolated from AC input. ◆ Auto worldwide Input 110 / 230Vac (90 ~ 264Vac), 50Hz ~ 60Hz. ◆ Charging parameters are insensitive to the AC input line voltage variations. 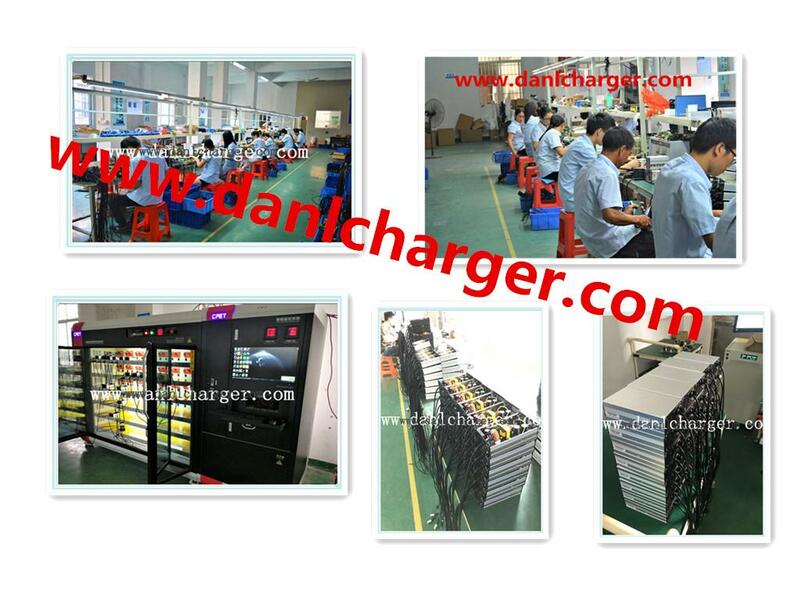 ◆ Completely automatic battery charging: Pre - charging, CC, CV, Absorption, Float or Cut-off. 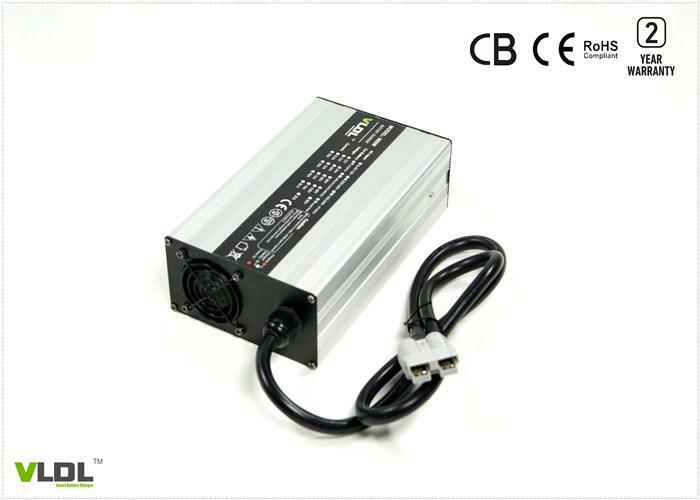 ◆ 2 LEDs: LED1 Red (power on), LED2 Red/green (charging / full). ◆ Possibility to customize charging curve for request. ◆ Protections: Short circuit, Over-voltage, Over-temperature, Reverse Polarity. ◆ Forced ventilation with fans. ◆ 100% full load burn-in test. ◆ Aluminum casing, light weight, portable. With 2 years full free replacement warranty, good quality and pretty competitive price will help you to earn more. By the way, we have our own professional designers to meet your charger types. Note: customized input / output / plug type / connectors are available.